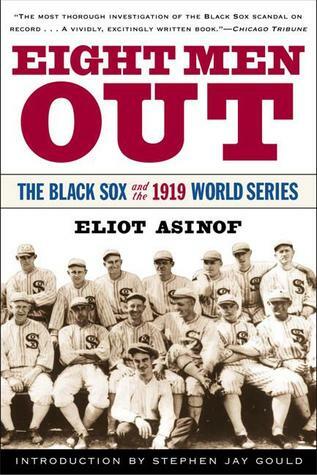 OK, so this is the book about the “Black Sox Scandal” in 1919. This is the story of the 1919 White Sox team who were paid off by gamblers to throw the World Series. If you’ve seen the movie “Field of Dreams” with Shoeless Joe Jackson – these are the guys. It’s another baseball book I wouldn’t recommend unless you like baseball history, although it’s pretty amazing how blatantly these guys were in blowing the series. It was almost comical. Plus, it’s a pretty compelling argument for baseball players to get paid millions. But here’s what I found really fascinating. It’s a wild historical parallel. In 1918, when the scandal made the news it was devastating for baseball. Imagine it – suddenly fans find out that the game they root for so wildly is fixed. Disgusting. The popularity of the game took a nosedive. It was really in danger of folding. Enter Babe Ruth. Suddenly here is this guy smashing home runs in a way no one in history had ever dreamed possible. But really it’s not just Babe Ruth. Behind the scenes – baseball introduces a harder ball that goes farther, expands the strike zone, puts fences into the ball parks – they do all kinds of things to support Babe’s magical home run power. Why? Because suddenly the public is captivated with baseball again. The game is saved. In other words, Babe Ruth is a product of the Black Sox scandal. Now…travel with me to the 1990s. 1994 is the baseball strike. Millionaire players and billionaire owners fighting over money while ticket prices are already outrageous. Once more the fans are disgusted. Popularity plummets. Once more baseball itself is in dire straits. But then…Mark McQuire, Barry Bonds, Sammy Sosa. And oh my God they’re chasing the record for most home runs in a season. They smash the records. It’s magical. It’s historical. The crowds are loving it. But really…it’s the juice. And of course baseball turned a blind eye to the steroids these guys were taking. Because once again…baseball is saved. that’s really cool! Thanks for re-posting.